Summer is upon on and with it comes travel plans. Whether you travel for pleasure or business it’s important to maintain your healthy lifestyle. Summer road trips, a trip across continents to reconnect with family, or a jam-packed work travel schedule can all shift your ability to eat healthy and maintain your exercise routine. For the last four years I’ve been travelling pretty much non-stop. I’m not exaggerating when I say that the world has been my home and still is. I feel blessed to be able to visit so many beautiful places and exotic countries, and I wouldn’t change a thing. Travelling as much as I do, for business, is a dream come true, because this means that one of my biggest passions – travelling and exploring different countries and cultures – is part of my work. Although I love being on the road, sometimes it is really tough to maintain the healthy lifestyle I love so much. Hopping from one plane to another, making sure that accommodation is booked, and especially feeling jet lagged all the time can have negative effects on my overall health and well being. Staying healthy while travelling can be a challenge! It took me quite some time and many miles and flights to figure out how to stay healthy and energized on the road. Travelling is amazing, but your health should not be sacrificed. Being on the road shouldn’t be an excuse for eating unhealthy food, and not taking care of yourself holistically. On the contrary, the more you travel the more you have to look after yourself. Staying healthy on the road is all about preparation. Packing smart, researching your destination, and sticking to your health routine as much as possible. And don´t forget to make room for experiencing the local way of living in a new country. 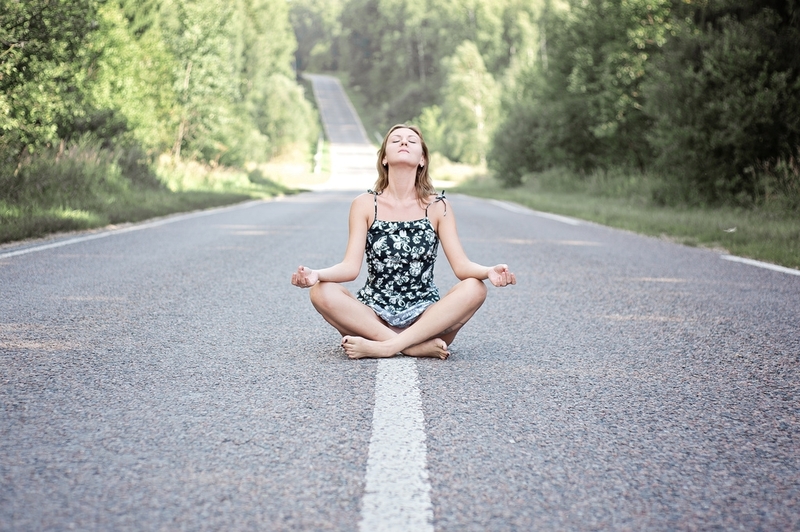 Here are 5 tips to help you stay healthy on the road as you begin your summer travel plans. My friends and family always think I am crazy when I bring my own meals on the plane, but only until they unwrap their microwaved airplane meal, while I enjoy my quinoa spinach avocado salad, roasted nuts and delicious chocolate energy balls. Surprisingly, everyone wants to have a bite. Airplane food is full of fat, salt, and generally has very little nutritional value. Instead of nourishing you it will leave you feeling tired, low on energy, and constantly craving more food. To avoid this, I started bringing my own meals, which should not be a problem at all as long as it is not liquid. 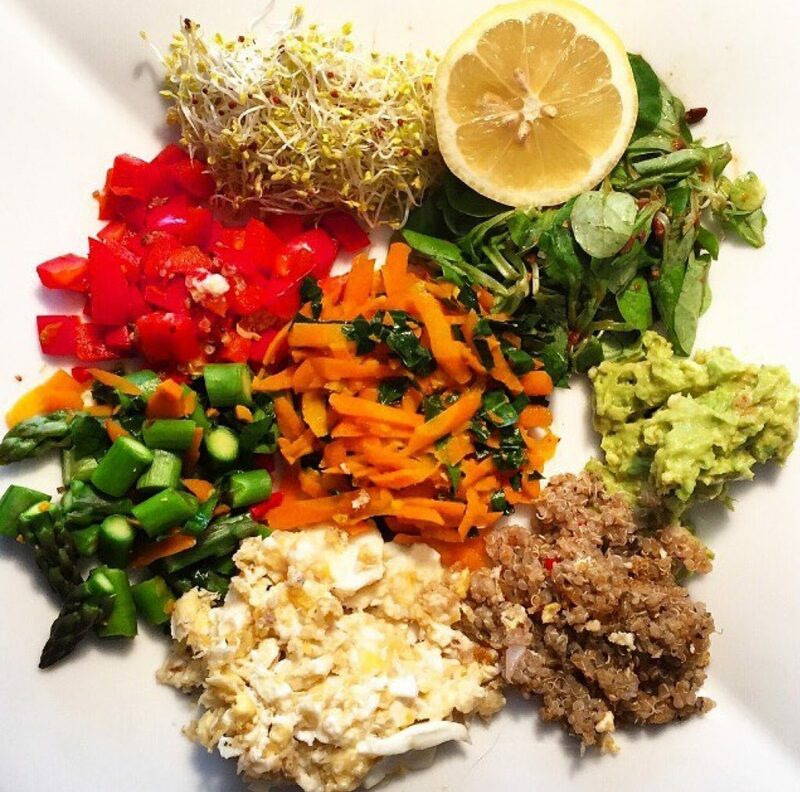 My all time favourite is a quinoa or buckwheat salad with lots of vegetables, greens, nuts and seeds, lemon juice and olive oil. For breakfast I bring oat energy balls or baked porridge slices and roasted seeds and nuts as a snack. Although it takes a bit of effort and dedication, once you are sitting on the plane enjoying your own nourishing food, you´ll never go back to eating airplane food again. I can´t say it enough. Drink water. As much as possible, especially when you are on the plane. I always bring a refillable bottle with me to use at the filters available at most airports. These are often found once you get past security, where you are allowed to fill your water bottle. Another tip is to bring your own tea bags. Ginger tea is great for digestion and nausea. Chamomile tea is soothing and calming. While green tea is full of antioxidants and will wake you up in the morning! Once in your tropical destination, sipping a fresh, raw coconut is one of the best ways to get hydrated. Packed with electrolytes and low on sugar, coconut water is nature’s gift to replenishing your hydration balance, and the taste is out of this world. 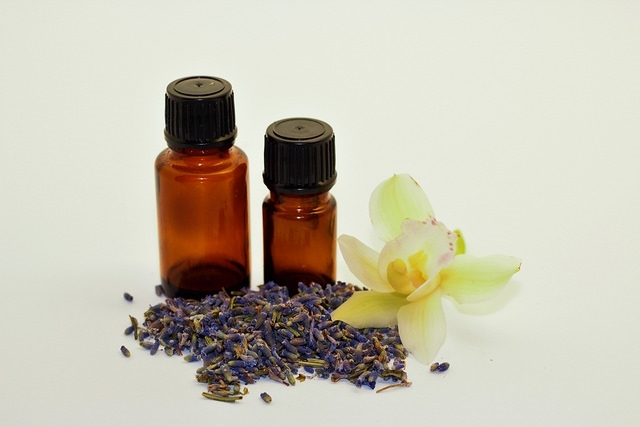 My favourite essential oil for travelling is lavender oil. I apply it on the inside of my wrists and on my temples to induce calmness. It smells amazing and it helps me to feel more calm right away. Another benefit is that it helps me to fall asleep, especially when I am suffering from jet lag. It’s not easy to actually fall asleep on a flight, but the lavender oil may help you do just that on a long and often boring transatlantic flight. I try to be as active as possible when on the road. Take the stairs when possible, get up every hour or at least every two hours when you are on the plane and walk up and down and stretch wherever you can. It will keep your blood flowing and will re-energise you. On a long road trip, take the time to stop at rest centres every 2 to 3 hours to use the facilities and for a good stretch of your muscles. 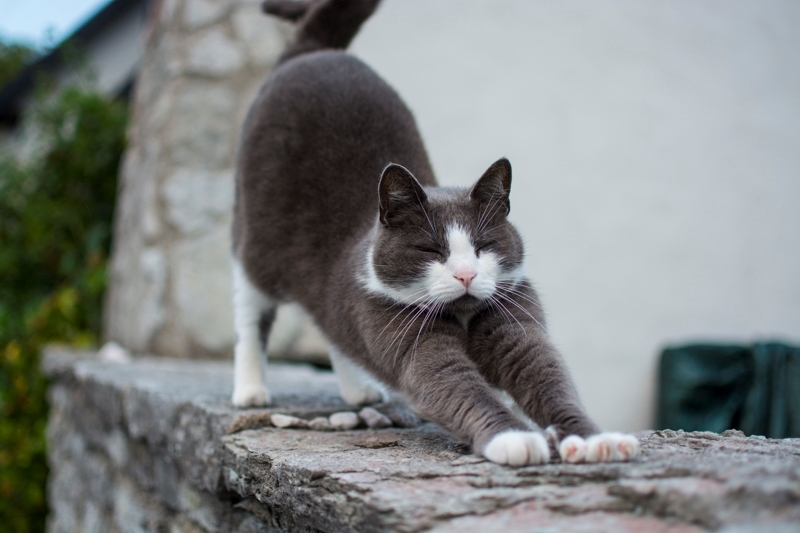 Even cats stretch when they’ve been still for too long, so do the cat stretch when you step out of the car or RV. Stopping frequently might elongate your trip, but the joy is often in the journey and enjoying the journey means feeling good as you drive. I think this is the most powerful tool to stay healthy when being on the road. Travelling means movement, stress, hurrying, talking to people, and there is always “external noise” around you. It´s easy to feel overwhelmed and restless. In order to receive the benefits of meditation, you don’t need to have a long period of time or even a quiet room. Just try closing your eyes for 5 or 10 minutes when you are on the plane, on the train, or in a taxi and focus on your breath. It will calm you and help with mental clarity. Just don’t do it in the middle of the road, or as the driver. Driving and meditation don’t mix well. When it’s a family road trip, there are 5 things you absolutely need to know. Click to read it next. Last but not least I want to share with you some of my favourite travel snacks. Make sure you always have one of these in your bag so you are less likely to buy a sugar loaded chocolate bar when you feel hungry. My last word of advice is this: Don´t take it too seriously, healthy eating and living means also being flexible and enjoying life. Trying out local food is part of the experience and being too strict with your diet isn’t healthy either. Always try to look for the healthiest choice but don´t obsess about it. Traveling, like life is all about balance. Enjoy your travels and share your own healthy travel tips in the comments below!